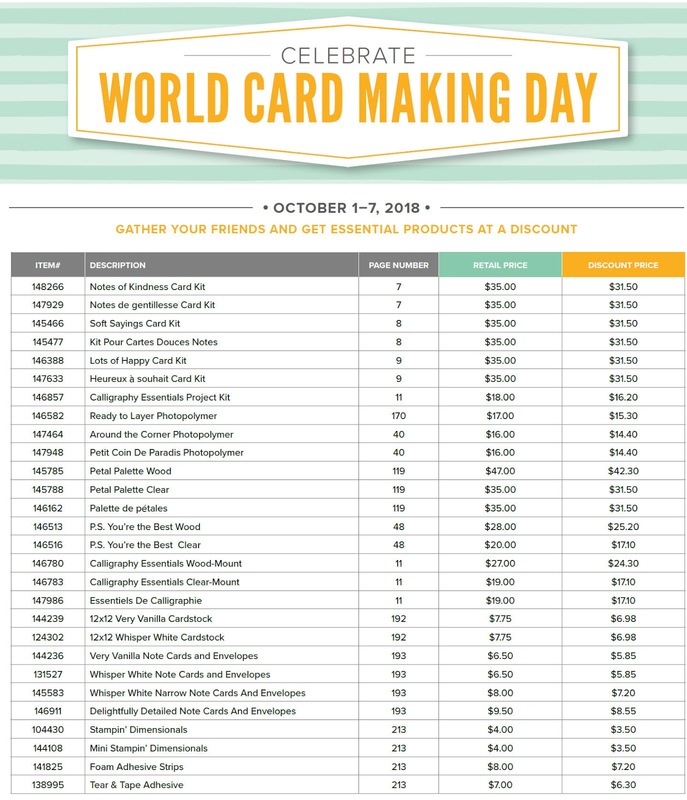 Sunflower Stamper: World Card Making Day Specials! Howdy all, Happy Sunday! A little chilly here - especially since our main floor heat isn't working! Note to self - check it during the week when you get in touch with the repair man! We have a second, upstairs where the stamp room is. Hoping to get up there soon! 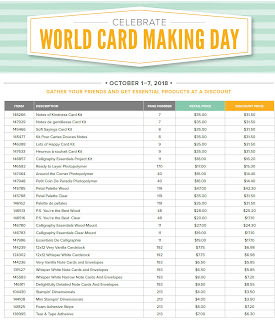 Ok, Next Saturday is World Card Making Day. Stampin' Up! is giving us specials all week! Below is the list of items that are 10% off! Click to enlarge. Contact me if any questions! I can also email you the PDF file, just ask! Sale is valid October 1-7. Shopping link below! **Also, there will be an October Host code posted first thing in the morning. Use that to place your order and earn a chance at the Host benefits! If we reach $150, I'll draw for a winner on the 25th. Your order will ship right after it is placed!